One of the key new features of the recently launched Shift (SHF) altcoin, the first one forked from Ethereum, was the availability of a GUI wallet – essentially a simple graphical frontend for the shift client software. 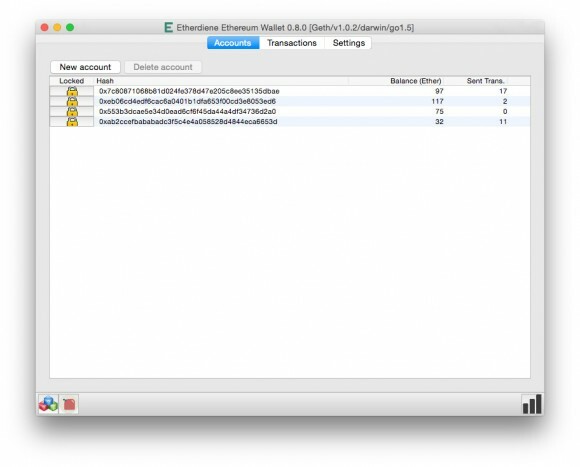 This GUI is also available and was probably originally developed for Ethereum as the project is called Etherwall (source), written by one of the developers of the Shift team. Etherwall is also available as a compiled binary for Linux, Mac OS X and Windows and you can download these from the official website instead of having to compile the code from source. Do note that Etherwall requires geth 1.0.2 or newer to be installed and running in order for the wallet GUI to connect to it and function. What Etherwall does is provide a simple and easy to use basic functionality for managing your Ethereum accounts, check what balance you have as well as to send transactions. It is easier and much more user friendly for people that are not into working with console commands to do even simple things like checking a balance or sending some coins, so you might want to check it out.